Surgery on the foot, ankle, or lower leg is performed by podiatric surgeons. Podiatrists are specially trained and focused on problems with the foot and ankle. They are specialized doctor hyper focused on that one area. 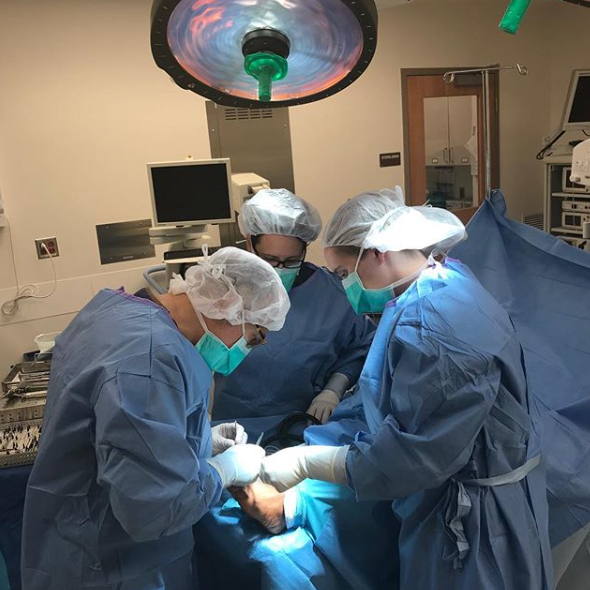 Our doctors perform surgeries each week so they are experienced, skilled and competent in all areas of foot and ankle surgery. Many kinds of foot surgeries require you to have your foot immobilized after the procedures with such things as a bandage, splint, surgical shoe or cast. Most surgeons will encourage post-operative exercise of the foot and legs to speed recovery. After sufficient healing time, most patients can resume wearing their usual footwear. In addition, many patients need additional therapy or treatments after surgery in order to aid in the healing and recovery process. These may include physical therapy, orthotic devices (foot supports), and special footwear. In addition, our offices uses MLS Laser Therapy to help decrease swelling and increase healing. The laser increases blood flow and oxygen to the injured or repaired area on the foot or ankle. By adding oxygen and blood, this helps to jump start your bodies own natural healing process.